As you might have noticed if you live in New York City, or converse with anyone who lives there and can’t stop talking about it, the subway is not fun. 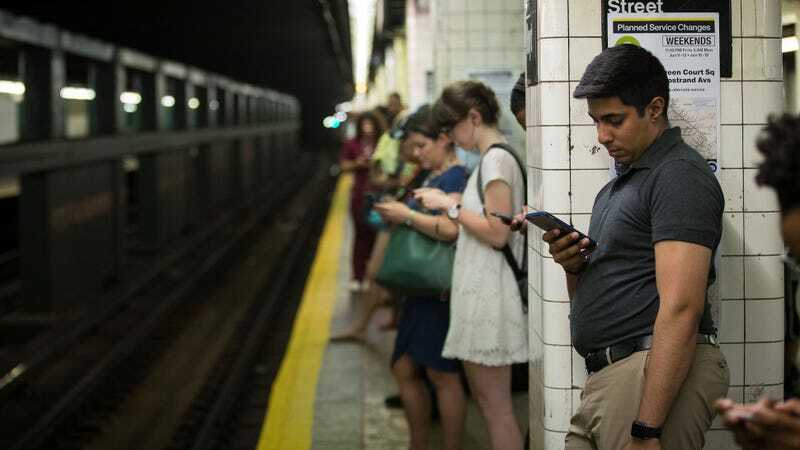 It’s hot, cramped and often delayed, and the folks saying that each day have ample stats behind their complaints: NYC subway delays are up 237 percent since 2012. Now, if you follow this NYC-based blog closely, you may wonder why a person who lives in Texas is writing about NYC’s favorite form of transportation. It’s because everyone there is delayed on the subway. Anyway, a report from the NYC Independent Budget Office confirms their dread: According to the report, the average number of monthly subway delays has gone from 20,000 in 2012 to 67,450 in May of this year, making for around a 237-percent increase over the last five years. What a time to be alive and in NYC! That also means the folks living in this lovely city lose a lot of time out of their daily lives waiting for the big, fun underground train to come around. The average number of hours lost by passengers during the morning rush alone has gone up by 45 percent since 2012, according to the report. - Passenger hours lost to delays on a typical weekday during the morning rush have increased on every line by at least 24 percent from the average for 2012 as a whole through the 12-month period ending in May 2017. Hours of delay have increased most on the J/Z (up 71 percent), C (69 percent), and the 7 (62 percent). Lost hours have increased the least on the 3 (up 25 percent), G (26 percent), and 4 (31 percent). - The dollar value of the hours lost to delays on a typical workday morning is about $1.2 million a day, or $307 million annually. While this can translate into a steep cost for individual riders, it is a very small cost relative to the size of the city’s economy. So, yeah, the increases in monetary, hourly and general life costs due to subway delays may seem like a steep cost for you as an individual, but it’s all relatively minor in the scope of the big city’s economy. Someone has to keep this giant concrete monster running, after all.